The Kawuneeche Valley on the west side of Rocky Mountain Natinonal Park lights up with brilliant colors as the skies over the Colorado River welcome the rising sun. 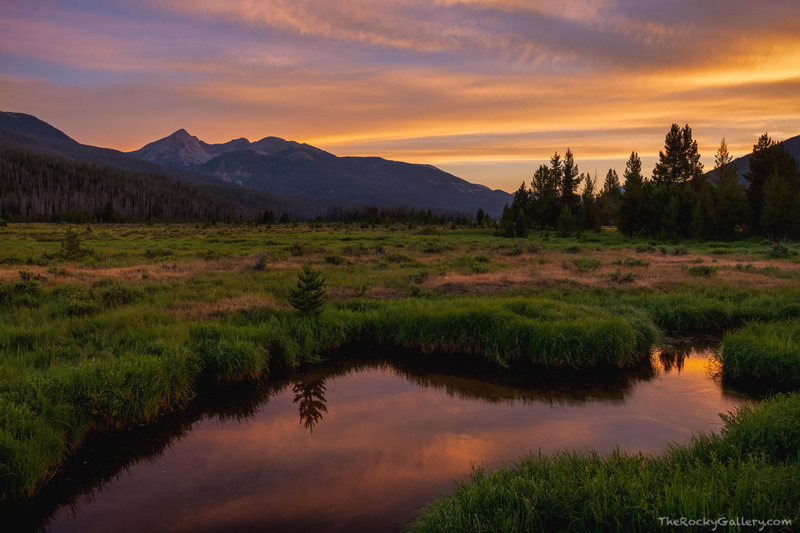 With the Colorado River bubbling on through the Kawuneeche Valley, elk and moose mosey around the meadows and willows of the valley enjoying the serenity that can be found in this part of RMNP,. Photo © copyright by Thomas Mangan.